In recent years, terrorist attacks in London, New York, Berlin, Barcelona and Nice have heightened concerns about the safety of living in and travelling to cities in Europe and North America. In many of these attacks, cars or trucks have been driven at high speed into crowded streets with the aim of causing the maximum number of casualties. While such attacks remain relatively rare, planning authorities are now working on methods to deter and thwart the use of vehicles as weapons in public spaces. The attacks on London’s transport infrastructure in 2005 and an abortive car bomb attack at Glasgow Airport in 2007 prompted a rethink in the UK about how to protect people from acts of terrorism. As a result, protective cordons and barriers were installed at government offices, public buildings and transport hubs. 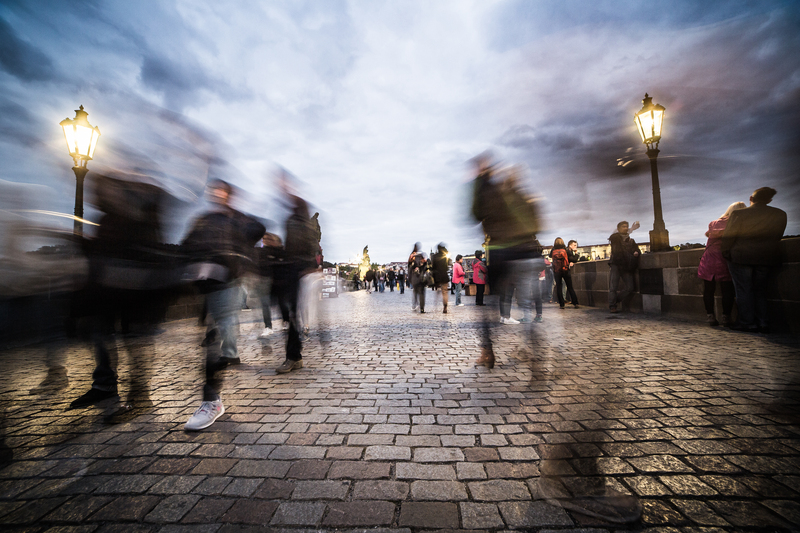 Subsequently – and perhaps as a consequence of the success of these measures – terrorists have changed tactics, focusing their attention on members of the public in crowded city centres. These so-called “soft targets” are harder to protect, partly because of the scale of defences that would be required, but mostly because city authorities want to retain the open and accessible nature of places which are most attractive to shoppers, tourists and businesses. Guidance issued by the Home Office in 2012 explains how public authorities, communities and the private sector can mitigate terrorism risks by physical, technical and procedural measures, such as speed gates, barrier systems, closed-circuit television cameras and sufficient stand-off distance between vehicles and buildings. Similar guidance has been adopted in the United States, and most recently in Australia, which has also developed a self-assessment tool to help owners and managers of public spaces to assess their own risk. The challenges presented by terrorist attacks have prompted urban planners and architects to think again about how to protect the public without creating forbidding strongholds. A successful example of an innovative approach can be found in New York City’s financial district. Home not only to the New York Stock Exchange, but to museums, shops and waterfront entertainment attractions, this part of the city is a vibrant area that brings together many people from different walks of life. 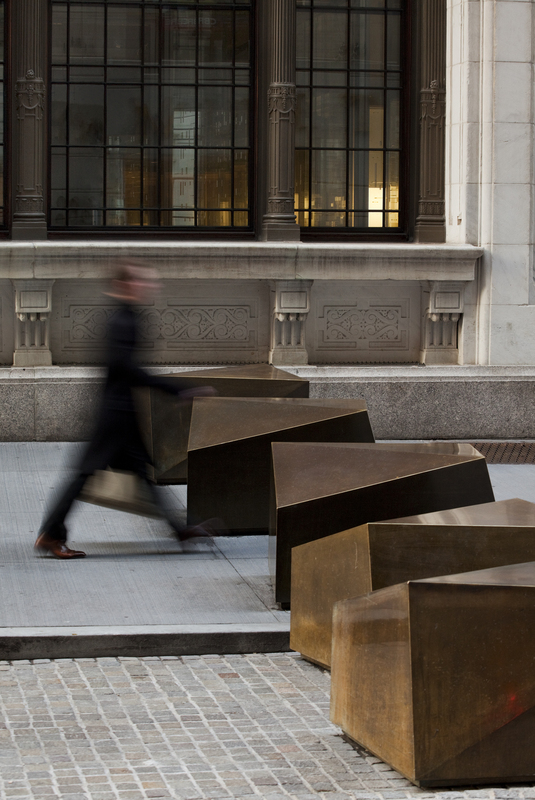 It’s this widespread appeal which makes the financial district a potential target for terrorism, and which presented Rogers Partners Architects + Urban Designers with the challenge of ensuring its security while retaining the positive aspects of the area. Closer to home, the National Assembly for Wales has also adopted counter-terrorism measures to protect the people who work in and visit this major public building. The architects have taken advantage of the public plaza around the building to achieve sufficient stand-off through landscaping. In addition, staircases and reinforced street furniture contribute to the protective facilities without turning the building into a fortress. Urban planners have a fine line to tread between making people feel comfortable in public spaces while ensuring their safety. Concrete barriers may be effective, but if they make residents and visitors fearful, they are more likely to drive them away. And since that is what terrorists are aiming to achieve, it’s all the more important to get the balance right. 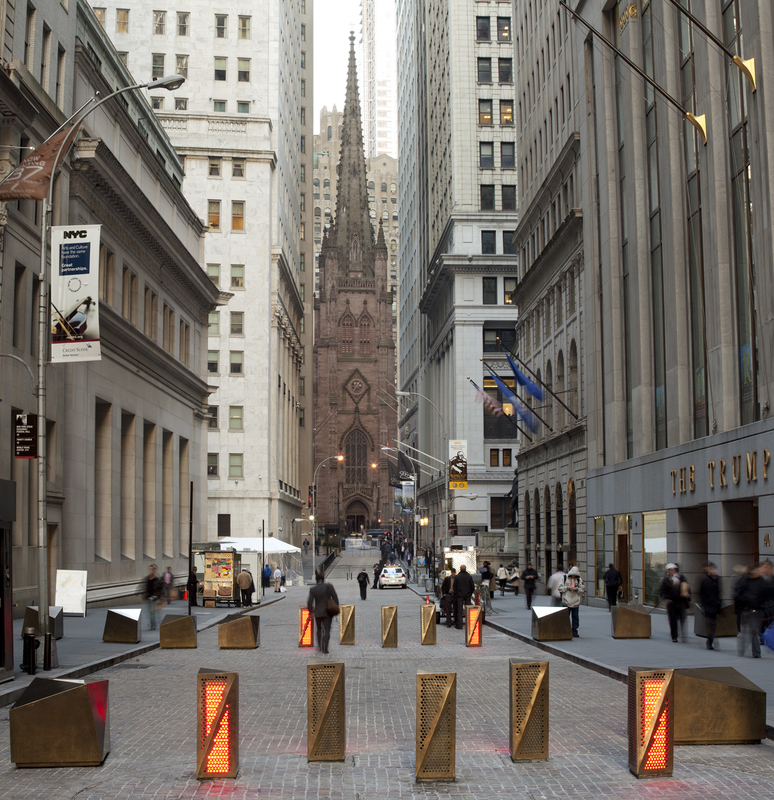 Our thanks to Rogers Partners Architects + Urban Designers in New York City for supplying the information and photographs concerning the streetscapes and security project in the financial district. Famous last words? Is this the beginning of the end for city slogans? How do you sum up a city in a slogan? The simple answer is that you can’t. But that hasn’t stopped towns and cities around the world trying to encapsulate their essence in a few well-chosen (or sometimes ill-chosen) words. For some, a slogan is a fun way to show that a town or city is a great place to live, work and visit. American municipalities that proclaim themselves to be “The Best Town on Earth” (Madisonville, Kentucky), or “The Toothpick Capital of the World (Strong, Maine) are doing so with their civic tongues firmly in cheek. But for many towns and cities, slogan making is a serious business that requires considerable amounts of time, money and brainpower to come up with something that highlights communities as worth visiting and investing in. And for some cities, a slogan can mean the difference between success and failure. New York City today is a lively, attractive place that’s proud to trumpet its cultural, architectural, retail and culinary attractions to residents and tourists alike. Things were very different in the 1970s. Years of financial mismanagement and neglect had given New York a reputation for grime, crime, drugs and disrepair. By the mid-70s, the city’s image was in tatters. The turning point came with a campaign promoting one of New York’s enduring strong points – its theatre district. A television advert featuring Broadway stars launched the campaign on Valentine’s Day 1978. Its message was short and sweet: I ❤ NY. The New York campaign had a profound influence on another city whose image required a makeover. In 1984, Glasgow was making efforts to recover from industrial decline, and to regenerate its city centre as a retail and cultural hub. The city’s Lord Provost, Michael Kelly, wanted to promote Glasgow’s progress, and to show that the city was miles better than it used to be. The slogan was finally dropped in 1997, but subsequent campaigns – Glasgow’s Alive, Glasgow: Scotland with Style – never enjoyed the commercial success of the Miles Better brand, nor did they win the hearts of the people. 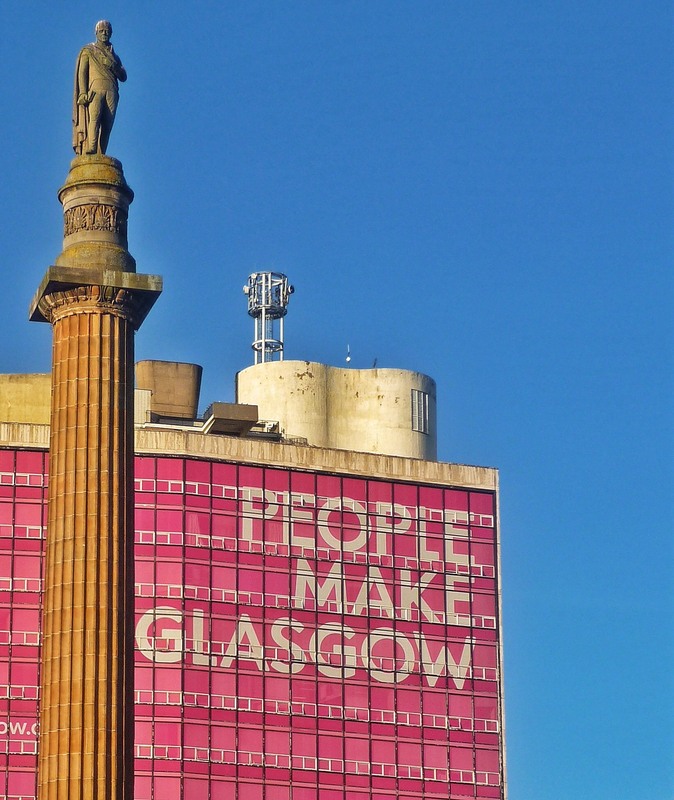 Today, the city has another slogan – People Make Glasgow – which puts Glaswegians firmly at the heart of the city’s identity. The change recognised that in a city which still has significant social, health and housing problems, a slogan focusing on the strengths of its citizens is more likely to have credibility. But while numerous towns and cities around the world have embraced the power of a slogan, there are signs that city slogans may be reaching the end of the road. In 2015, the city council of Edmonton, capital of the Canadian province of Alberta, voted to drop the “City of Champions” slogan. The Mayor of Edmonton contended that a city’s brand can never be expressed in a meaningful way by a single tagline. Other North American cities, including Moncton in New Brunswick, Mississauga in Ontario, and Cleveland, Ohio, have also been phasing out their city slogans. Going through the roof: could building upwards address London’s housing problem? London needs around 50,000 new homes a year, but housebuilding is running at around half that. Between 2005 and 2015, private rents in London rose by an average of 35%. Future projections suggest there will be 9m people in London by 2020, 10m by 2030 and 11m by 2050. There are now serious concerns that the lack of affordable housing and rising rents risk driving key workers out of London, and may cause businesses to think twice about locating in the capital. But as well as triggering dire warnings about the future of London and the UK economy, the housing crisis has also prompted increasingly creative ideas on how to solve it. Last year, Darren Johnson, who represented the Green Party on the Greater London Assembly, proposed five ideas to secure land for affordable homes. One of his proposals was to build additional storeys on top of existing buildings. He offered the example of the Ducane Housing Association in Hammersmith, which built 44 new homes on top of two 1970s buildings. Based on data from London’s Borough Councils, Johnson estimated that almost 50,000 new homes could be built using Ducane’s example. One potential stumbling block is the difficulty of getting planning permission for intensive construction projects in the heart of active communities. However, in July 2015, the Treasury signalled the government’s intent to end the need to obtain planning permission for upwards extensions in London. 61% of respondents supported the idea of allowing private developers to refurbish government buildings, allowing them to make their money back by building additional housing on top of the refurbished building, which they could sell for profit. Over 60% of Londoners would happily live above a library, while 44% would be willing to live above a government administration building, and around a quarter of Londoners would be willing to live above a school or hospital. The WSP report went on to suggest that developing all available sites by building apartments above all available public buildings in London could provide over 630,000 residential units. These homes, the report argued, would be most suitable for key workers employed by these facilities, or by students, older people and young professionals. Some may even house those working in the facilities below. The idea of building up may be relatively new to London, but other densely populated cities have already been exploring its possibilities. 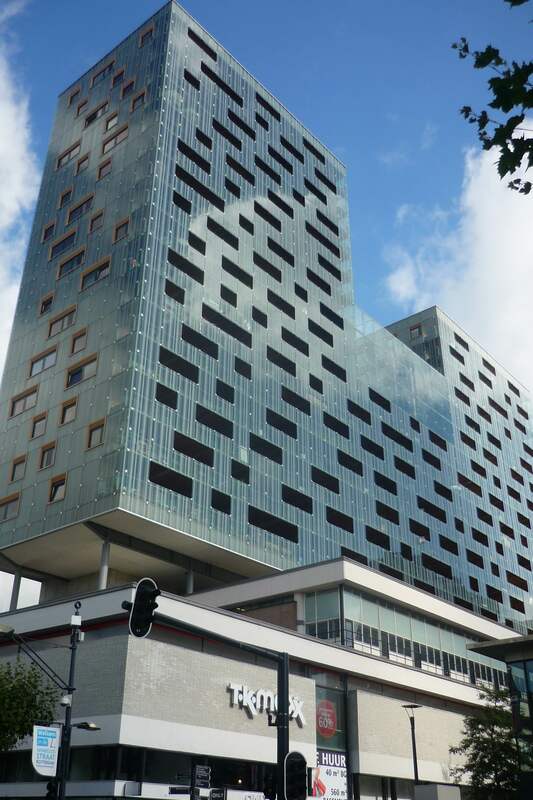 In Rotterdam, developers have been combining ultra-lightweight materials to build apartments on top of a 1940s shopping centre. In New York, a developer is planning to construct a nine-storey condominium on top of apartments dating from the 1950s. In Paris, three prefab dwellings attached to the rooftops of existing buildings were completed in January 2016. But not everyone is happy with the idea. Residents in the existing apartments beneath the proposed New York condominium are concerned that the wear and tear of construction could damage their properties. And they’re also worried about the stability of the columns supporting the new building. Clearly, building on existing properties is not without its problems. But as the housing crisis in London intensifies, and spreads to other parts of the UK, it’s an idea that may no longer be regarded as pie in the sky. Can Housing Zones help the housing crisis?